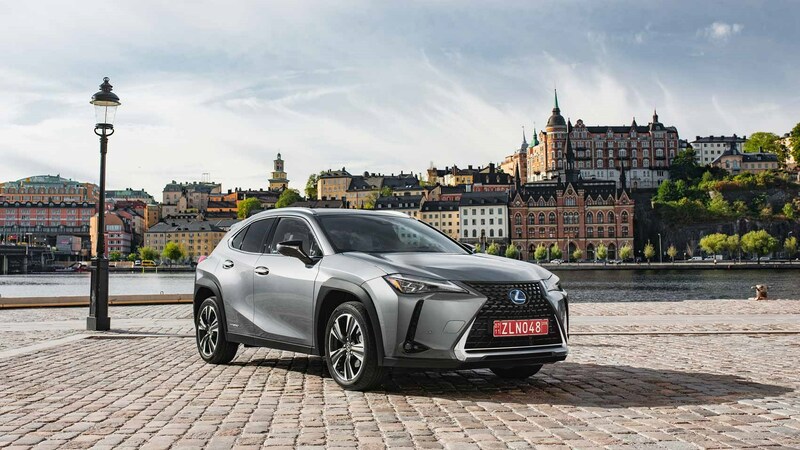 Premium-yet-compact crossovers are where the market’s at these days, with the latest typifying the breed being the new Lexus UX. What’s the Lexus UX name all about, then? In these tech-savvy times when ICT parlance has leaked into everyday language, you’d be forgiven for assuming its naming initials might stand for user experience. Not a bit of it. 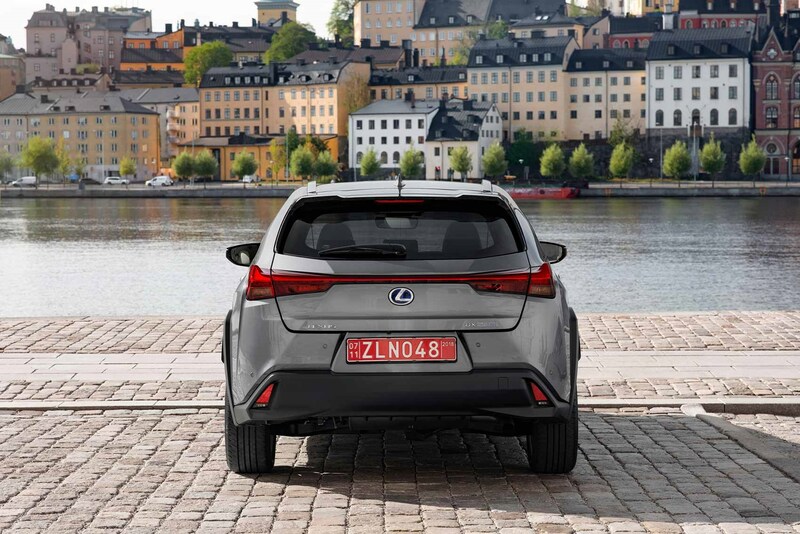 Much more rudimentary than that, this is Lexus’s urban crossover – geddit? This is why that despite ticking the usually crossover styling cue boxes, the UX looks more like a tall hatchback (also see GLA for this approach) than a rugged SUV. Will that matter? It might for those Lexus loyalists who assume this is the replacement for ageing CT (a hybrid hatch that’s had so many facelifts its headlights are almost touching its tailgate); the company vehemently stresses that’s not the case. Being a Lexus, presumably it’s a hybrid? Lexus doesn’t just build hybrids, remember, although the UK range won’t include the petrol-only UX 200. Instead, Brits will get a narrow choice of the UX 250h with front-wheel drive as standard, and the optional E-Four system, which diverts some of the drive to the rear wheels when extra traction’s required. We’d recommend sticking with the former. A new long-stroke (for improved low-down torque) 2.0-litre petrol mill is combined with Lexus’s latest-generation hybrid gubbins, producing 176bhp combined. Somehow it doesn’t feel as rapid as its 8.5-second 0-62mph acceleration time suggests it might, while its top speed is electronically capped at 110mph. Does the UX ‘moo’ when you’re giving it some? Drive the UX 250h gently around town and its very refined and hushed, smoothly going about its business with minimal fuss. Wake it up on an open back road and you’ll still experience that high-pitched sound where the engine speed doesn’t seem in unison with the rate of acceleration. It’s better – and shorter-lived – than it has been in earlier Lexuses, but it’s still there. Although Lexus refers to the transmission as an electronic CVT, it’s actually a planetary gear set and it’s chosen because it’s the most efficient choice for working with a hybrid powertrain. So, the UX 250h will cost a pittance to run? It won’t be cheap, but it should prove more cost-efficient, particularly for urban dwellers, than a diesel-engined rival. Remember there’s no plug-in version of the UX (at least for now), so a low battery level minimises how much pure EV running it can manage, but improvements have been made to enable coasting on fast downhill stretches of road. Combine this with the switch to less flattering WLTP efficiency figures and you’re looking at a claimed average of 42.8mpg and emissions of 131g/km of CO2. Spec it up with the F Sport’s 18-inch alloys and the E-Four system and those numbers worsen to 35.6mpg and 157g/km. Can we look forward to a rip-snorting UX F? As more buyers of high-performance hatches migrate into crossovers, it’s inevitable there’ll be a pent-up demand for more rivals to the GLA 45 AMG, regardless of what the purists think. 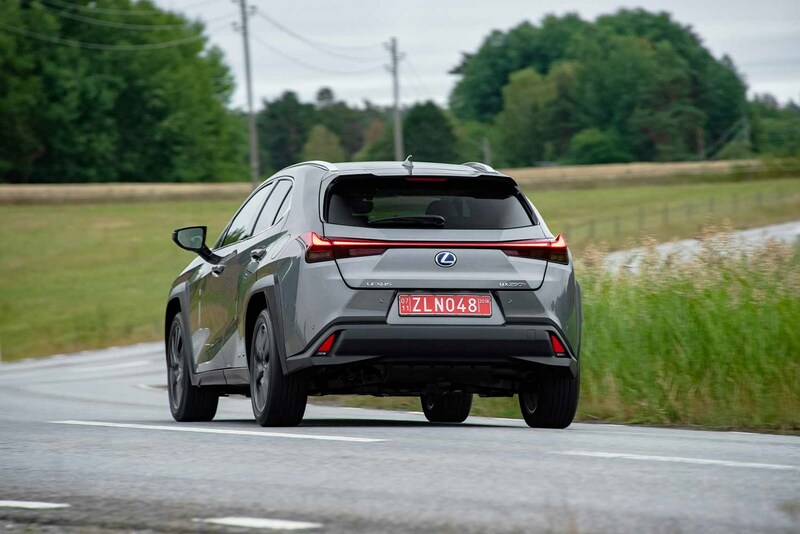 How does the Lexus UX feel to drive? 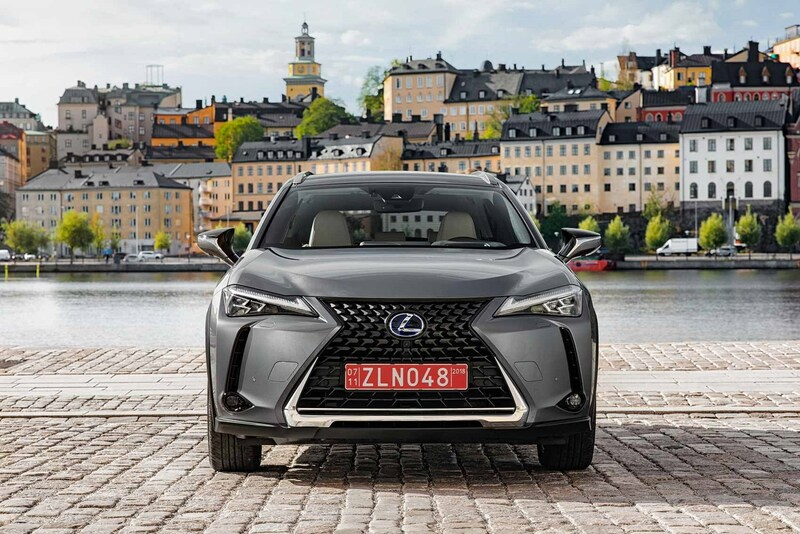 Ordinarily, a launch test route isn’t worthy of note in a review, but considering how much of the UX’s initial drives were confined to the Stockholm’s city streets says much about Lexus reinforcing where it believes its core market will spend most of their time. Here its easy-going virtues come to the fore, easing the stresses of city life, the UX’s diminutive dimensions making it a doddle to thread through narrow streets. Lexus regulars will also appreciate a weightier feel to the controls, steering in particular, although more communication through the rim wouldn’t go amiss if it’s going to challenge for the class honours. Directional changes are unruffled with good body control – an extremely stiff structure helps see to this – but even on a wending back road it doesn’t feel especially engaging. Firmer F Sport models use their 18-inch alloys and tauter dampers to conduit what’s going on beneath you to your posterior, while trick anti-rollbars further negate listing through corners. Ultimately, the UX feels better when it’s configured to what Lexus does best: comfort. Stick to a Luxury grade model but spec the optional Adaptive Variable Suspension system for a polished ride and an experience that rewards for being un-Germanic. It all sounds reasonably positive… where’s the ‘but’? Up front, the plushness continues, with a typically Lexus-like cabin – read top-notch materials as that infuriating multimedia touchpad. It doesn’t feel quite as snug and coupe-like in the first row as the designers would have you believe, but in the back the similarities are all too apparent. Although it’s a three-seater bench, in truth two tall adults are going to be as comfortable back there as Jeremy Corbyn waiting for a bus outside a synagogue. Not only is it bereft of head- and legroom for six-footers, the door openings require Houdini-esque levels of limb manipulation. It’s a space best reserved for pre-teens – should your back-seat passengers be larger, then an NX might suit your needs better anyway. It’s a similar story once you’ve popped the electric tailgate to access a notably shallow boot. The rear seats fold over when required and there’s space beneath the carpeted floor, but in its ordinary configuration you won’t fit much lifestyle in there. Even the styling is interesting in a softer-than-its-rivals manner, with aerodynamic creases and flicks all over the body, but best demonstrated by the tail lights. Whether it’s distinctive enough to draw attention away from its lack of ruggedness compared with its rivals is one thing, but the lack of room in the rear half of the car won’t win it many friends. 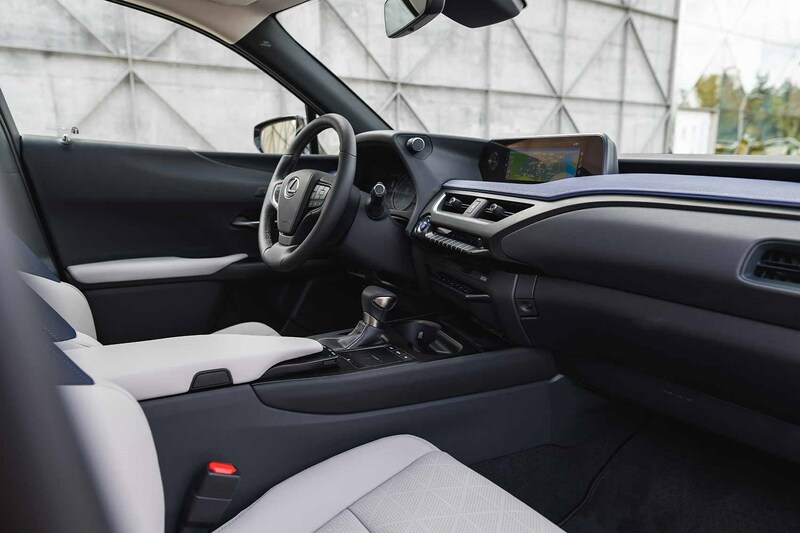 It won’t be a deal-breaker for everyone, of course, in which case the Lexus UX is an efficient, feelgood crossover for those who appreciate comfort over sportiness.